Thanks, Greg&Rose; pleased you like this portrait! This is great. 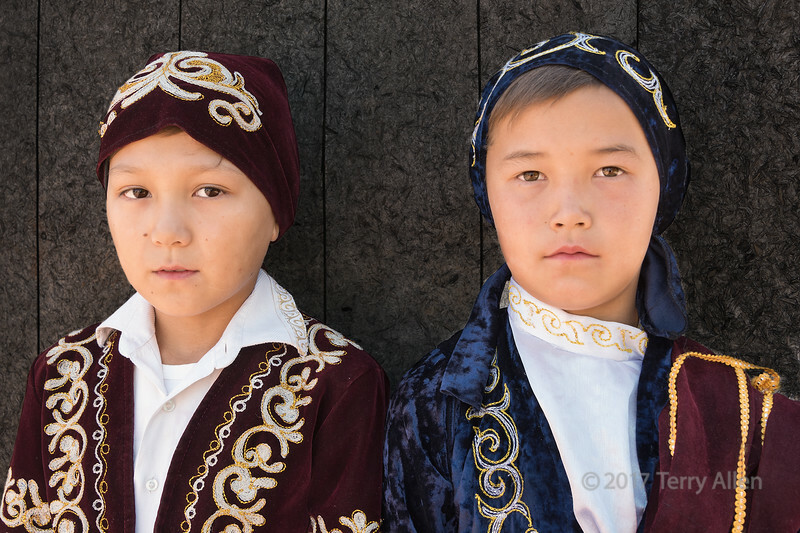 I love that the one on the left has what I would "guess" is a more traditional shirt on and the one on the right has a more 'westernized' style of shirt, yet the designs on the collar match that on his brother's shirt. So much to see here. I wonder if their expressions are a result of not having their photos taken very often or one of shyness? Looks like big smiles are not a part of portrait work in Kazakhstan! Very nice shot of these boys.